Danzig, with his luscious dyed locks and his puffy, pale body, has signed on for an upcoming appearance on Portlandia. 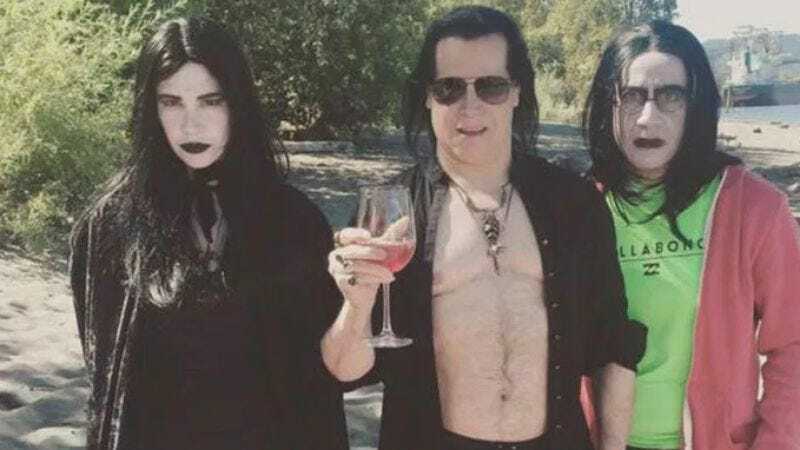 Judging by a picture tweeted out by Carrie Brownstein, Danzig will play a member of the show’s goth gang, joining Brownstein and Fred Armisen in a scene meant to poke fun at what it’s like to be a creature of the night who’s still forced to spend time at the beach. Clad in all black, naturally, Danzig is sporting a full slate of goth beachwear, including industrial boots, chains, and gym shorts. He’s also got his shirt open, because even a dark legend can enjoy the sun once in a while.